As politics and publishing collide this year, the International Alliance of Independent Publishers’ is organizing a WomenList exhibition of 30 titles on feminism and women. Many in world media have called 2018 another “year of the woman,” which makes it seem particularly fitting that the author and feminist Chimamanda Ngozi Adichie will speak at the Frankfurter Buchmesse‘s opening press conference, as reported by Publishing Perspectives. 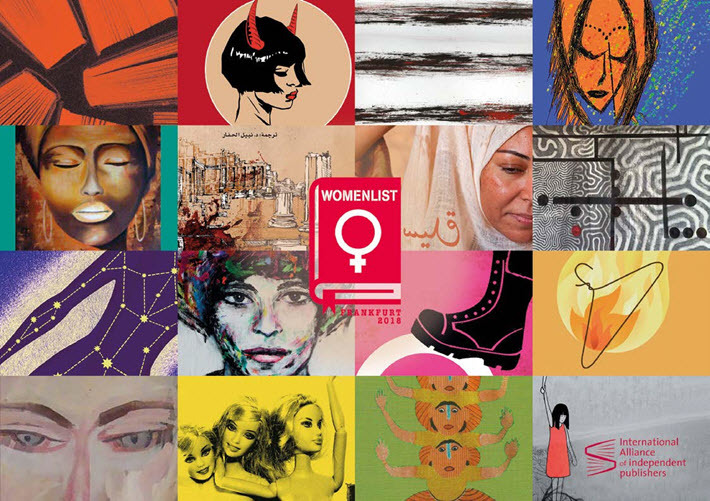 The Paris-based International Alliance of Independent Publishers, in preparation for the book fair, has organized WomenList, a presentation of more than 30 novels, essays, short stories, and comics from many parts of the world on feminism and women’s struggles. WomenList will be at the Reading Island for Independent Publishers in Hall 4.1 (D36) at the book fair (October 10 to 14). The project is a partnership with German independent publishers, brought together with the assistance of the Kurt Wolff Foundation. 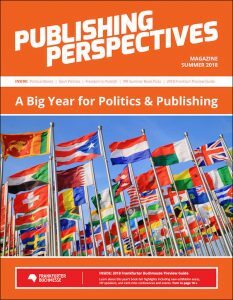 It’s designed to bring to light some of the relevant material coming from independent publishers, amid the #MeToo movement and new condemnations of violence against women. And it’s the kind of effort the Paris-based International Alliance of Independent Publishers has become good at producing. 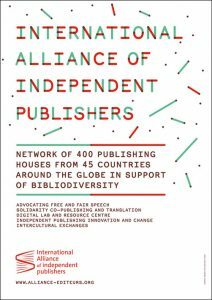 Created in 2002, the alliance is a professional collective comprising more than 550 independent publishing houses from 52 countries. The WomenList books are in languages including Arabic, English, Indonesian, Farsi, French, German, Spanish, Portuguese and Turkish. Its authors come from countries including Algeria, Argentina, Australia, Brazil, Cameroon, Canada, Chile, Colombia, Ecuador, Egypt, England, France, Haiti, India, Indonesia, Iran, Ivory Coast, Gabon, Guinea, Morocco, Mexico, Senegal, South Africa, Switzerland, Syria, and Turkey. The books in the collection are wide-ranging, featuring a novel about a princess in a kingdom in ancient Syria; feminism and politics in Brazil; short stories about violence by Ecuadorian women; a study of Iranian women and their experiences in prison; sexual slavery in Indonesia during the Japanese occupation; a study of women in television series and film in a patriarchal society; and narratives by African women on their determination to move beyond gender discrimination. The Herstory Project, Volume I, is edited by Anthonia Makwemoisa, who teaches at the National Open University of Nigeria. It’s published by Amalion, based in Dakar, and gathers stories by 33 women from multiple African countries. The intent of the project is to challenge traditions of gender discrimination and break through cultural inhibitions, encouraging empowerment and leadership among women. Chilean publisher Lom ediciones’ Mayo feminista. La rebelión contra el patriarcado (May Feminist: The Rebellion Against Patriarchy) is a collection of essays edited by Faride Zerán to provide context and analysis of the roots of women’s protests that took place in earlier this year in /Chile’s streets and universities. The physicist, environmentalist, and activist Vandana Shiva has edited Seed Sovereignty, Food Security and Women in the Vanguard, an international anthology of articles by women. Published by the New Delhi-based feminist press, Women Unlimited, it features women at the forefront of the defense of local, biodiverse, and organic farming in contrast to industrialized agriculture. Susan Hawthorne, the Australian author and co-founding director of the feminist Spinifex Press, writes about bibliodiversity in her Manifesto for Independent Publishing. A key interest of the alliance’s “Observatory” program, the term was coined by Chilean publishers to indicate an alternate vision of publishing. Hawthorne argues that publishers must engage with society and local world they inhabit, calling for diversity, fair trade and speech. Sweden’s Carl Cederström on Tuesday (October 2) published an article in The Guardian, encouraging men to read feminist classics as well as contemporary books, in solidarity with women. The new Frankfurt-bound collection of books promoted by the alliance offers 30 or so titles to consider.